Editor’s note: This post was co-written by Clare McDermott, Mantis Research co-founder and chief research officer. Keeping up with what’s new and exciting in social media can feel like a sprint. Just as you’ve mastered a new tactic or tool, one of the major social networks announces a new feature you need to wrap your head around. Find some new (and not so new) features you may not know, as well as a few channels that may not be on your radar. What’s the difference? The two terms are often used interchangeably, but they don’t mean the same thing. Filters are static images you add to a photo on Snapchat – like a company-sponsored illustration to commemorate a special event. Lenses add animation to your Snapchat photo or video – often using augmented reality (AR). For example, you can transform your face into an AR-enabled kitten face (but please don’t) or add an animated rain cloud to your video. The opportunity for followers to engage with lenses is much higher than with filters because users are more likely to play with them and share them. 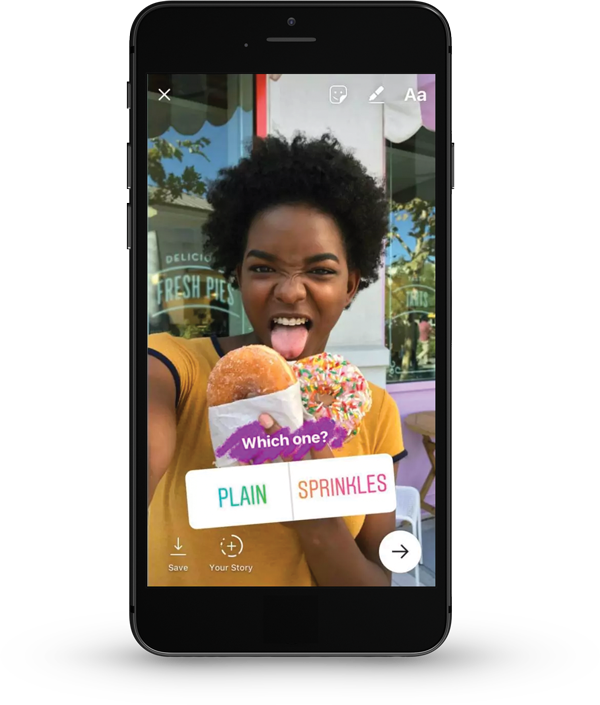 Snapchat is boosting its inventory of advertising opportunities by expanding the ways sponsors use lenses. Now companies can sponsor animated AR lenses and in-app games on the platform. 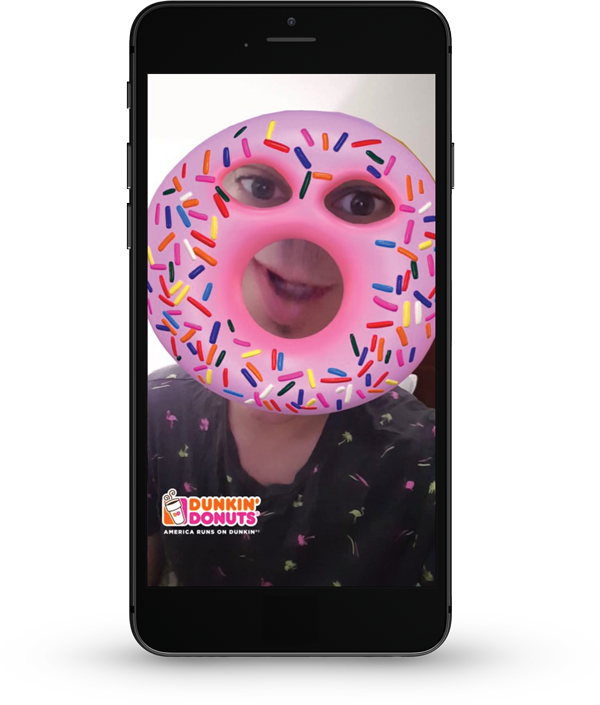 For National Donut Day, Dunkin’ Donuts let users turn their faces into donuts – complete with animated sprinkles dropping into cute donut mouths. 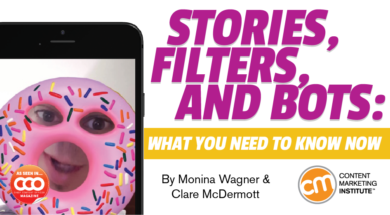 Want to ensure that you’re getting the right impressions on Snapchat? The platform’s audience-lenses feature lets you customize your target market by regions – guaranteeing a number of impressions by age, gender, and lifestyle in that area. Want to make sure your audience members share their experience with your brand? 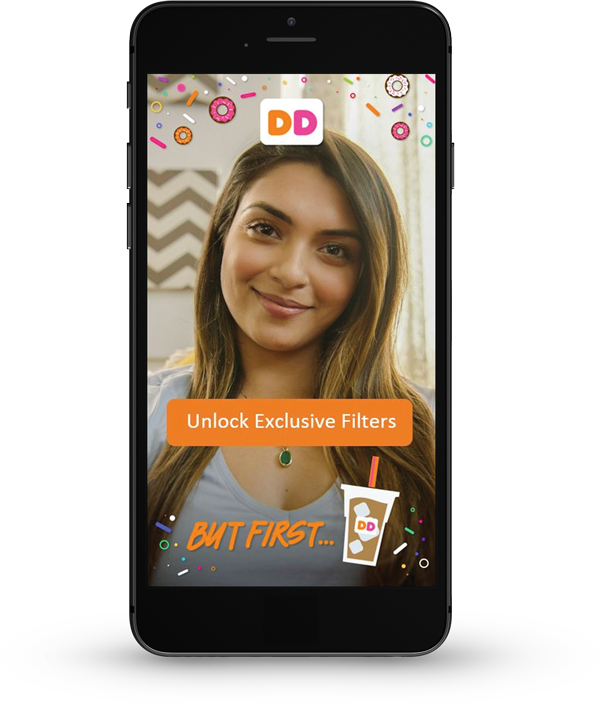 Create a custom geofilter only available to users within a geographic location you define (cost is determined by the size of the area and length of filter’s availability). Geofilters are a great option for events, retail locations, and destinations. This new feature lets a user see if any friends are close by. When turned on, Snap Map shares the user’s location – a boon for advertisers who can leverage the information. 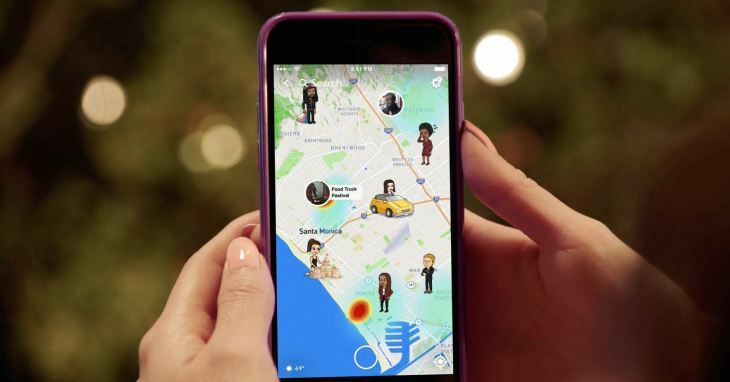 So far there’s no ad offer for Snap Map, but we won’t be surprised if that comes soon. In April 2017, the number of people using Instagram Stories surpassed the number using Snapchat stories, making it a must-use channel for many marketers. But do you know about some of its key features for businesses? Like many other social channels, you can livestream using Instagram Stories. Instagram also lets users replay the video for 24 hours. The Canvas ad format popular on Facebook is now available on Instagram. 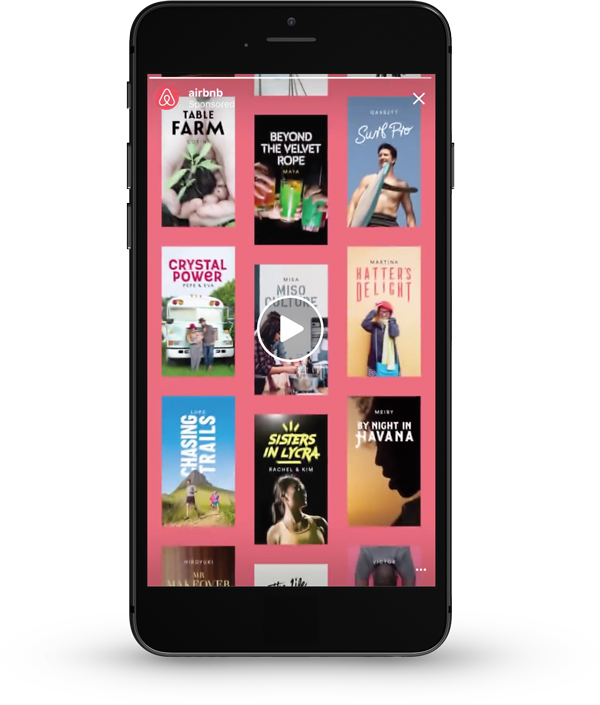 The ad is larger and more interactive than earlier iterations of sponsored content on Instagram. Now you can add a two-answer poll sticker to your Instagram Stories. After tapping an answer, users see poll results right away. While Facebook has a couple billion users, it has several features that have not been used to their full potential. Most are familiar with Facebook Live, but do you know about some of its hidden features? One feature we love is the ability to use a split screen for interviews. When setting up your livestream, choose the interview mode, then decide how each person in the stream will appear on the screen; for example, you can use a split screen or toggle back and forth between individuals. With enough planning and practice, your livestream may be useful to post on social channels even after it’s over. 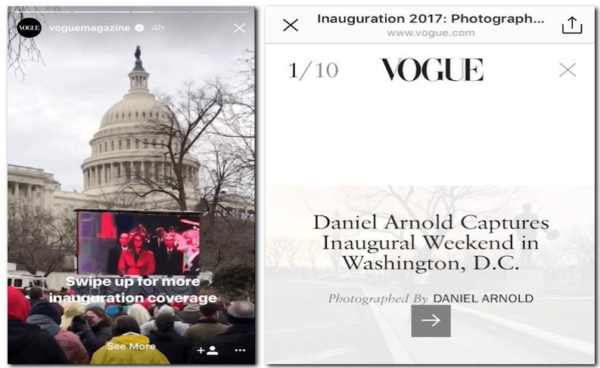 Facebook created Instant Articles in 2015 to help publishers’ articles load faster in news feeds. Marketers who publish their content using Instant Articles sacrifice the chance to drive readers to owned sites, but the upside is a better reading experience for end users – particularly on mobile. Keep in mind Facebook only approves brands for Instant Articles if they publish on a regular schedule and meet certain quality standards. Chatbots are a new way for users to interact with brands on Facebook. Bots usually take the form of a virtual assistant through Messenger and are intended to be used conversationally – as if there’s someone on the other end of the chat sending over what the user is looking for. Sound overwhelming? 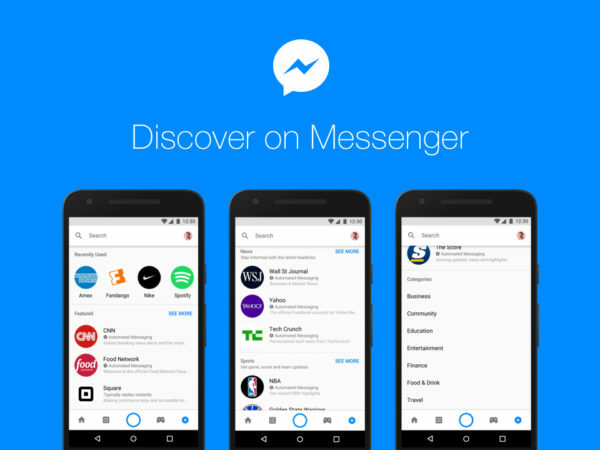 Facebook recently launched Discover, an app inside Messenger that makes it easier for consumers to discover new chatbots and help marketers make sense of this new dimension inside Messenger. While Medium has a loyal following of readers who appreciate the quality content it publishes, it still struggles to monetize the platform. In late 2017 Medium replaced its advertising model with a new subscription-based model – readers pay $5 per month for access to premium content, and Medium bloggers (called “partners”) are paid based on how well readers rate the content, which is measured by readers “clapping” on the site. For marketers, Medium is a work in progress – though some brands are setting up content channels on Medium since the transition from advertising to subscriptions. Some companies use Medium to set up a niche blog that matches the site’s audience more closely; for example, Facebook’s design team runs a Medium channel to give voice to Facebook designers spread all over the globe. A smaller number of companies even forgo a company-hosted blog in favor of a Medium channel to save on development costs and to benefit from the Medium network effect. (When you set up your company account, your Twitter followers auto-follow you on Medium.) For now, it’s hard to tell whether Medium’s bold move will pay off, but for content-first brands it’s a channel worth considering. Want to see what a brand channel looks like on Medium? Brands use Medium to reach a niche community and leverage the network’s simple UX. 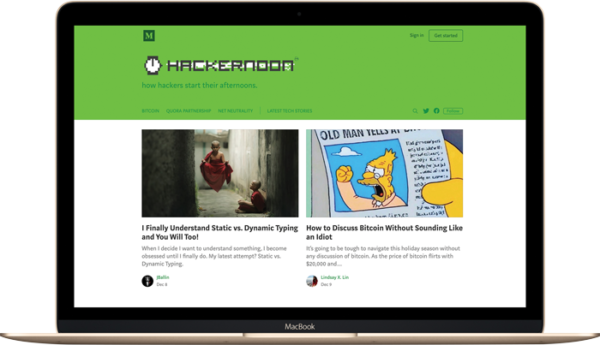 To see how it works, check out Hacker Noon, a high-quality, Medium-based content hub. In early 2015, something happened that most of us marketers missed. The number of active daily users of messaging apps surpassed the number of active daily users of social networks. Let me repeat that: More people are spending time interacting through messaging apps than are interacting and posting on the major social media sites. At some level you knew this. Your kids aren’t using Facebook that much anymore, and even sites like Instagram seem to be falling out of favor with the younger generation. Messaging apps offer privacy and in-the-moment interactivity in a way that make sites like Twitter and Facebook feel slow and outdated. Of course, this begs the question: What’s the role for marketers on messaging apps? (Yes, it’s an uncomfortable question, but one marketers must ask.) While we don’t have all the answers, it’s clear chatbots are one alternative in the post-advertising portfolio. For those still living in 2017, chatbots are apps within apps – tools to automate conversations between humans and non-humans, often leveraging artificial intelligence. Chatbots enable one-to-one, natural language interactions between customers/followers and an automated assistant. They can take many forms and reside on many channels – from SMS and Apple iMessage to Slack, WeChat, and Facebook Messenger. The most obvious application for chatbots is customer service – an extension of those “can we help you?” pop-ups you see when you visit a website, which are often “staffed” by AI. But brands are also finding more unorthodox and entertaining ways of using bots. Consider And Chill. Not sure what you want on Netflix tonight? Send And Chill a message, and tell it a movie you love and why. Your sweet bot will send over a couple of recommendations along with trailers. (The chatbot always asks how well it’s performed so that it learns from each interaction.) 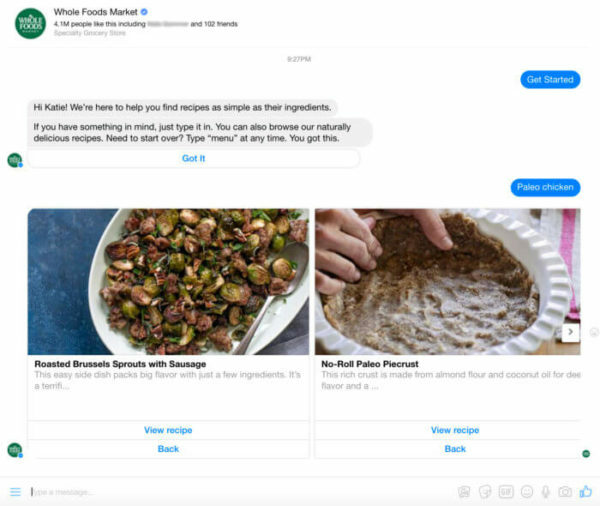 Whole Foods’ chatbot helps brainstorm recipes while you’re at the store, though it is a little less practical and a lot less amusing. You don’t have to be a massive consumer-facing company to try chatbots. We spoke to Christin Kardos, community manager at Convince and Convert, about her ongoing experimentation with chatbots. Convince and Convert uses a bot to distribute content, including a welcome sequence for new subscribers. Rather than develop the bot from the ground up – a cost-prohibitive option for smaller companies – Convince and Convert uses a tool from ManyChat. She says it’s important, however, to oversee the chatbot and watch its interactions with customers (a member of the team checks in twice a day to ensure that all is running smoothly). Kardos admits her company’s use of chatbots is a bit of an experiment in keeping with Convince and Convert’s passion for trying new tools to keep its audience informed. Given that messaging usage is rising faster than social network usage, it’s an experiment worth conducting. Get the latest and uncover the hidden features on social media as well as other content marketing channels. Attend Content Marketing World Sept. 4-7 in Cleveland, Ohio. Register today for best rates and use code BLOG100 to save $100. Monina leads social media efforts as Community Manager for the Content Marketing Institute. She began her storytelling career in television news, where she oversaw newsroom staff and daily operations. Tweet her at @MoninaW, but be warned - she hates auto DMs.